To many medieval Europeans north of the Pyrenees, the Iberian Kingdom of LeÃ³n-Castile was remote and unfamiliar. In many ways such perceptions linger today, and the fact that LeÃ³n-Castile is mentioned at all in current textbooks is the result of efforts begun by scholars some forty years ago. Joseph F. O'Callaghan was part of a small group of English-speaking medievalists who banded together at conferences in the early 1970s to share their knowledge of Spain. O'Callaghan's general A History of Medieval Spain (1975) introduced a generation of English-speaking medievalists to Iberia. Still much of the new scholarly interest over the past decades has been directed toward the Kingdom of Aragon-Catalonia with its exceptionally well-preserved archives. The Emergence of LeÃ³n-Castile brings together the current research of O'Callaghan's colleagues, students and friends. 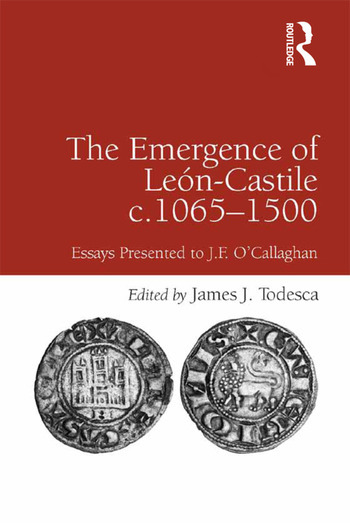 The essays focus on the politics, law and economy of LeÃ³n-Castile from its first great leap forward in the eleventh century to the civil strife of the fifteenth. No other volume in English allows the reader to trace the institutional development of the kingdom with this chronological breadth. At the same time the volume integrates the Leonese experience into the wider discussions of lordship and power. While LeÃ³n-Castile's culture was certainly its own, the kingdom shared in and influenced the institutional and economic development of its fellow Christian kingdoms both in Spain and north of the Pyrenees. The kings of LeÃ³n and Castile were among the first European rulers to invite townsmen to their assemblies. At the same time, they attempted to regulate their economy through sumptuary legislation and wage and price freezes. And, their centuries-long colonization southwards influenced the Germanic expansion across the Elbe, the English drive into Wales and Ireland and the Latin settlement in the Crusader states. In conclusion this collection underlines the fact that LeÃ³n-Castile was not an isolated backwater but a sophisticated state that had an important influence on the development of medieval and renaissance Europe. James Todesca is Associate Professor of History at Armstrong Atlantic State University, USA.